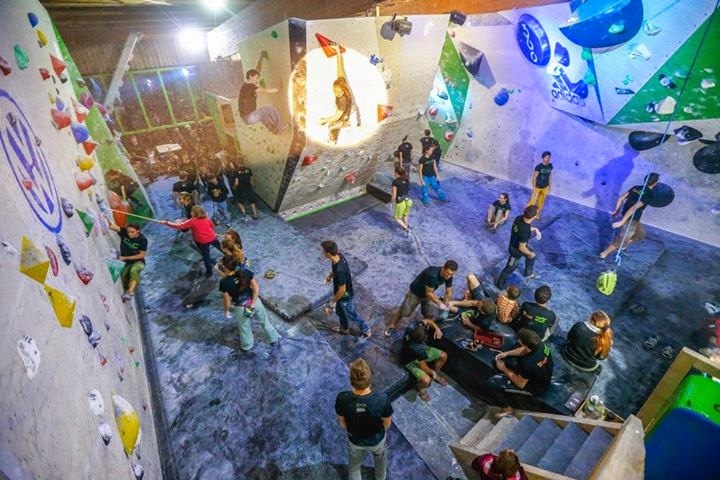 After national comp in Škofja Loka and before wc in Kranj there was an amazing event. 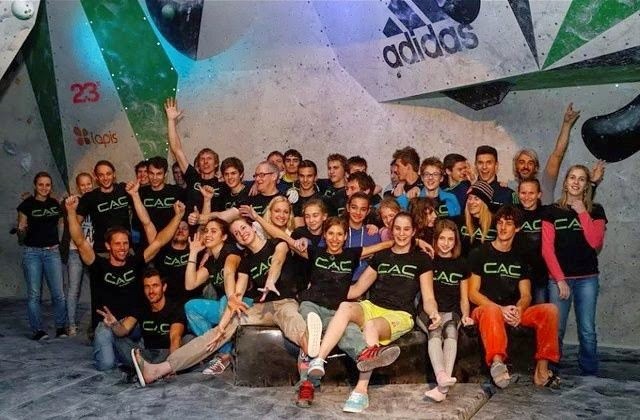 It was organized by Slovenia climbing team with cooperation with CAC, organization, which donate and put his work into researches for cancer healing. The main person in this story is definitely it's founder, John Elison, an amazing and unbeliviable inspiring person. I was glad, to met him again. 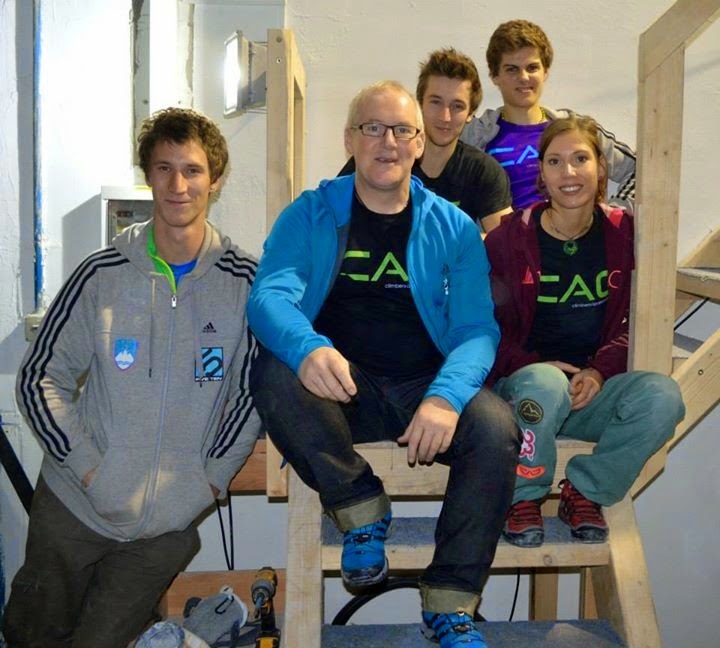 Event was placed at national team gym and opened for all climbers. There were set around 35 boulders of differenr kinds, suitable for kids (started climbing earlier in afternoon) and older climbers (afternoon). 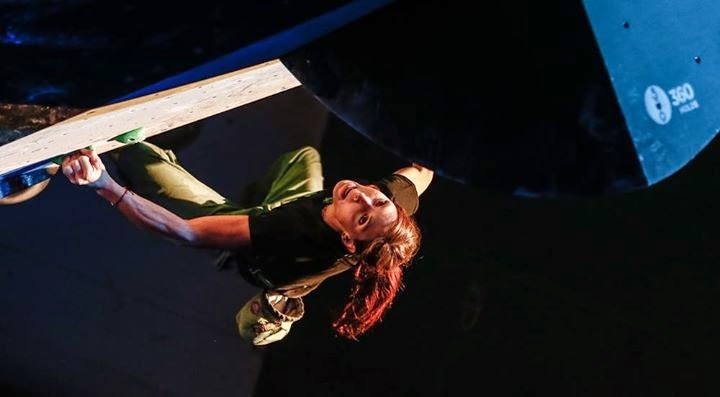 It was followed with speach of John Elison and special show climbing of longer hard pre-set 'final' boulder of an invited climbers (5girls, 5 man). Event was really nice visited and also the note, that special event t-shirts were tottaly sold out before finish of an event, talk for itself. All day of climbing, music, talking and sharing positive energy made big impresion to me. Feelings and thoughts, collected trought this day will stay in my head for a while. I was really happy, that I had an oportunity to be part of this event and support CAC!! !